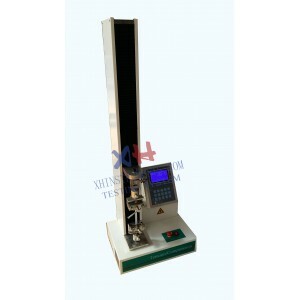 XHL-01 Tensile Testing Machine is applicable in testing the metal, rubber ,plastic film ,cable, fabric, paper ,aluminum board and so on . It is ideal for high-capacity tension, compression, bend/flex, and shear testing, these machines are guaranteed to meet the relative requirements of ISO, ASTM, JIN, GB and many other testing . 3. Software:Micro-computer and professional software controls,LCD displays data ,results, could store 40 groups test results.